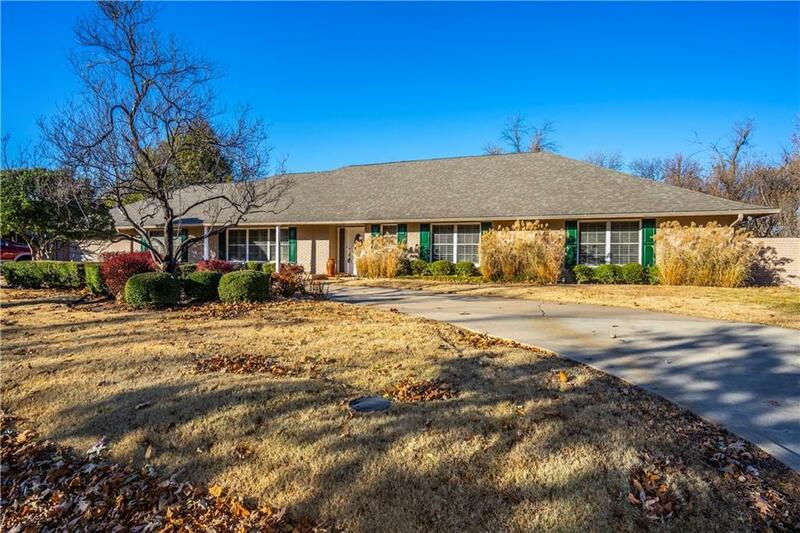 Lovely one level home with bright light on large lot one street from Nichols Hills. Nice open floor plan with two large living areas. Recent updates include: new interior/exterior paint, granite counter tops, appliances, hot water tank, fence, sprinkler system, upgraded insulation/foil faced sheeting. Backyard has open patio with flagstone patio for outdoor living. Four large bedrooms with plantation shutters. Reserved items: surround speakers.